New Construction Complete in the beautiful Cypress Village Subdivision. You&apos;ll love the feel of this cottage style home which features granite counter tops, upgraded painted cabinets with soft close doors, hardwood floors, SS microwave, range, dishwasher, and refrigerator, washer/dryer, crown molding, window blinds, and covered porches. Additional features include hurricane fabric shield for exterior windows, irrigation system and a Builder&apos;s Warranty. This fabulous subdivision offers a community pool with sliding board and lazy river. 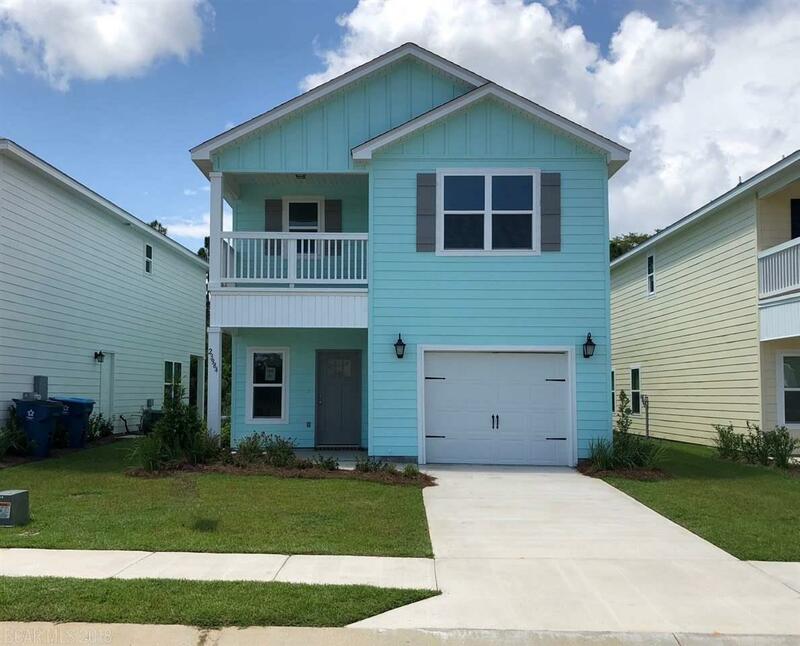 Cypress Village is located next to the Wharf which is so convenient to great restaurants and retail shopping, and minutes to the white sandy beaches of Orange Beach. This home is built to Gold FORTIFIED HomeTM certification. This is the Monroe Plan . Home is Complete. Directions: Heading East On Canal Road, Take A Left On Cypress Village Blvd. (Just Past The Wharf). Take A Right At The Pool And A Left On Cottage Loop. House Is On The Left.